Advocis Greater Vancouver is a local chapter of Advocis, the Financial Advisors Association of Canada representing Advocis members in the Greater Vancouver and Lower Fraser Valley communities of British Columbia. We’re a voluntary professional association of financial advisors, committed to representing the interests of our members and their clients. Advocis is the premier provider of professional development programs for financial advisors. It sets ethical and market conduct standards and is a strong advocate for the financial services sector in Canada. Advocis prepares, promotes and protects professional financial advisors by providing a professional platform including career support, designations, best practices direction, education, timely information and professional liability insurance. Advocis is your strongest voice with federal and provincial governments regarding public policy and regulatory issues that directly impact financial advisors. 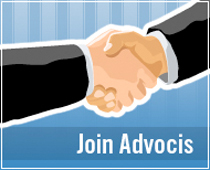 With the support of its chapters across the country, Advocis has political action committees, numerous volunteers and committees that focus on specific government relations issues and work hard on several advocacy initiatives to ensure that the business and regulatory environment for financial advisors is fair, competitive and fosters growth. As part of this organization, Advocis Greater Vancouver is proud to serve its members and do its part to safeguards your right to practice on a level playing field. We promote your knowledge, skills and standards to governments and regulators, and we’re committed to ensuring those authorities hear your voice and respond to your issues.